The Duquesne University School of Nursing was established in 1937. From its beginning, it has been defined by its scholarship, innovation, and studentcenteredness. The School continues to embrace the future with careful, strategic planning and action that builds on our reputation as a pioneer of nursing education and one of the nation's foremost nursing schools. In this unique learning environment, evidence-based nursing, critical thinking and intellectual curiosity go hand-in-hand with ethical practice, community service and a commitment to social justice. Our goal is to ensure that our students exemplify - in the best Duquesne tradition - the highest levels of competency, compassion and ethical behavior. Over the past six years, the School's total enrollment has increased 51 percent, from 703 to 1,064 undergraduate and graduate students. Part of this growth can be attributed to increased demand for nurses nationwide, but it is also the result of strategic choices made to develop innovative academic programs to meet the future needs of nursing. 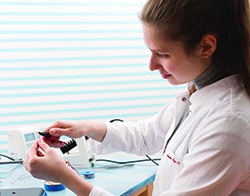 Nursing offers unique courses in genetics, ethics, and transcultural nursing. Faculty research focuses on the intersection of culture and health, and specifically on the topics of improving the health of veterans, older adults, persons with obesity and chronic diseases, and forensics. An interdisciplinary approach distinguishes many research projects in the school. Our current investigations address critical national priorities, including disparities in health care delivery, ethical practices and decision-making, and the use of technology and informatics to improve nursing education and patient care. Faculty research is also focused on service to vulnerable and underserved populations. A prestigious Fulbright Scholarship allowed a faculty member to travel to Saudi Arabia for teaching and research last year. Seven faculty members - an unparalleled number for a nursing school of our size-have been inducted as Fellows of the American Academy of Nursing, a credential less than one percent of nurses nationwide can claim. Recent federal funders include the Department of Defense, National Institutes of Health, Health Resources and Services Administration, and TriService Nursing Research Programs. Our faculty includes experts and specialists whose work as researchers, practitioners and authors is making important contributions to nursing science, education and practice. 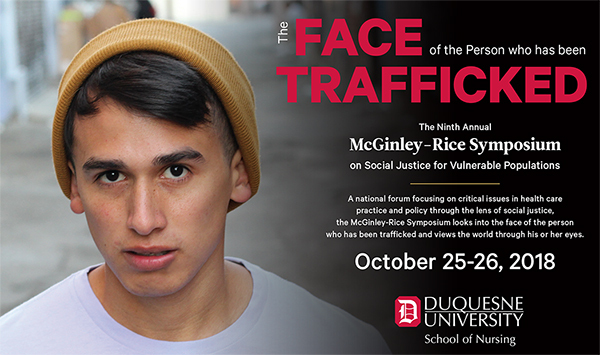 The annual McGinley-Rice Symposium on Justice for Vulnerable Populations provides a national forum where scholars, researchers, policy makers and health care professionals share ideas for alleviating disparities in health, enhancing wellness and Improving access to health care. Students serve vulnerable populations, locally and internationally, and learn nursing practice in hospitals and community settings throughout the region. As the health care environment continues to change, it is important to develop nurses who can make an impact in health care institutions and higher education, giving nursing a voice about ethical issues. Nurses are trusted and they are on the front line of ethical issues in health care. By off ering the PhD in Nursing Ethics, Duquesne is leading the way in giving nurses a better framework and greater influence. This doctoral program teaches ethics related to organizations, leadership and research and off ers a unique course in social justice. All Duquesne nurses gain expertise in ethical dimensions of their practice and care of vulnerable populations in a way that is rare among nursing schools. 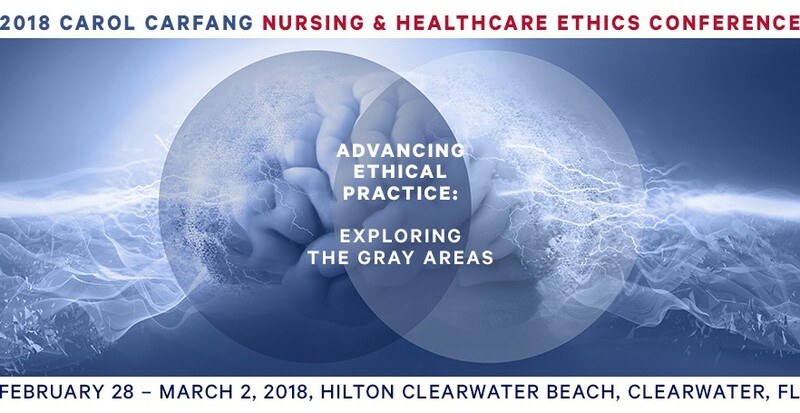 Our inaugural biennial 2018 Carol Carfang Nursing & Health Care Ethics Conference provided a forum for a diverse group of ethicists, philosophers, nurses, and other health care professionals to convene to address contemporary ethical issues in health care, and will discuss solutions to the most challenging problems of ethical practice and policy. Technology is changing the experience of nursing students at Duquesne. We are pioneers in employing innovative ways to facilitate and assess learning and to help students provide safe, personalized and culturally sensitive care. 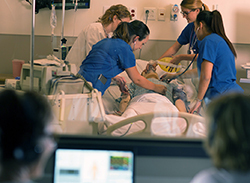 Our new Learning and Simulation Center offers an array of technology that provides clinical opportunities that are not available to students in contemporary clinical settings. Patient simulators provide hands-on learning experiences that increase realism, improve the quality of evaluation and enhance clinical learning. Students become fully engaged and committed to learning through simulation and post simulation discussion. New equipment includes a birthing bed, ventilator, neonatal incubator and wireless high fidelity interactive mannequins. Digital recording technology helps students hone their assessment skills by providing eff ective ways to monitor their progress quickly and accurately. Students now use eBooks and iPads for in the classroom and in the clinical setting as a quick point-of-care reference. We take a dynamic approach in combining the study of transcultural nursing with the delivery of health care. Our commitment to transcultural nursing and social justice includes areas of expertise in vulnerable populations, cultural care and health disparities. This learning occurs on campus, in local communities, and in countries such as Italy, Scotland, Ireland, Ghana and Tanzania. 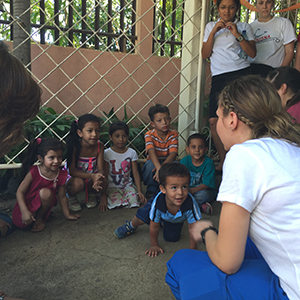 Students develop a global health perspective through undergraduate and graduate transcultural nursing classes and study abroad. These opportunities often transform students' worldview so that they, in turn, will impact the world through culturally competent care. A federal grant has enabled the school to provide support for veterans, active military and reservists who wish to earn nursing degrees. The school was among a select group of 31 nursing schools in the nation to secure this funding. The VBSN program seeks to increase educational and employment opportunities for veterans and to contribute to a diverse professional nursing workforce that improves health care services for communities worldwide.